This Hummingbird guards the feeders. They tolerate me, as long as I don't get too close. 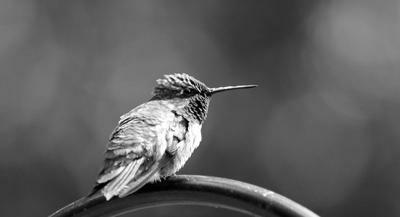 I took this one in black and white because I like the details you notice more without the colors distracting your eyes!